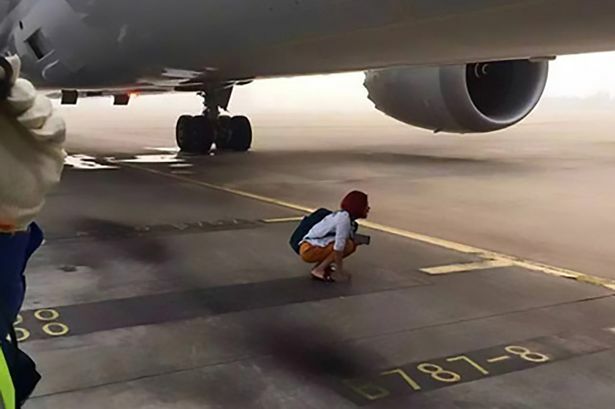 A couple who missed their flight squatted on the runway with their luggage in a bid to prevent their plane from taking off. 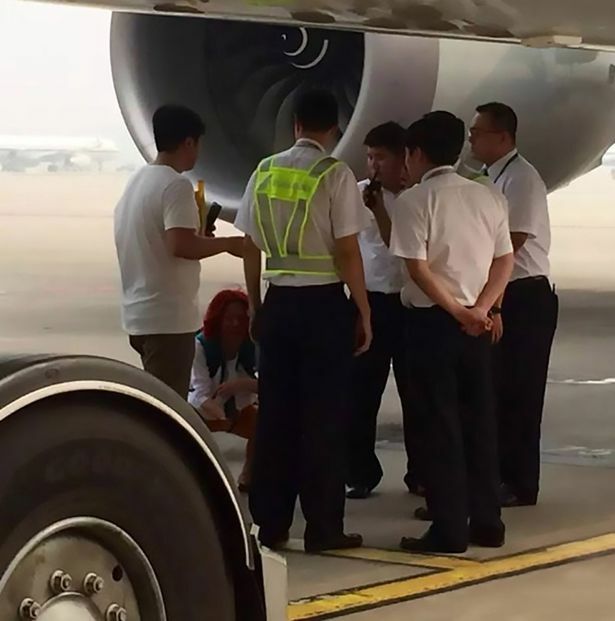 The husband and wife were booked on a Air China flight from Beijing, China, to the eastern port city of Shanghai at 9.30am on Saturday. 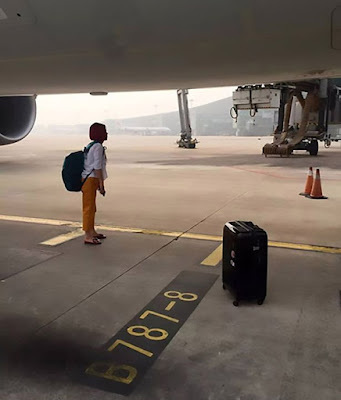 According to China Daily, they arrived at the boarding gate after it had already closed, leaving them stranded at Beijing Capital International Airport. Desperate to make their flight, the wife allegedly dragged her husband through the gate, 'knocking down' several employees in the process. They then ran onto the tarmac with their bags and headed towards the plane before it began taxing.The woman was pictured squatting down underneath the plane as she tried to convince officials to let her and her partner board it.The man, meanwhile, was seen standing and 'sitting' beneath the aircraft with his luggage.